Seriously, what could be more fun than hanging out with a bunch of like minded ladies, going for a short bike ride around a beautiful lake, shopping (for bike gear of course!) and sipping on some margaritas?! Last Thursday, the Iowa City Women's Cycling Club partnered up with the guys at Geoff's Bike and Ski to host this fantastic event. The weather was nicer than we could have imagined for this time of the year and we had a great turnout of new ladies. We kicked off the night with a short bike ride around the lake at Terry Trueblood where we chated and got to know one another, and then headed back to Geoff's Bike & Ski. Christie was on hand to show us the latest gear from SheBeest and Po Campo. They have some great stuff. I couldn't resist this cute little bag. It even attaches to your handle bars, how cool is that? One lucky lady even won a Po Campo bag in our prize drawing! Also given away were three pairs of SheBeest socks (I need to try these out, I'm always on the lookout for cycling socks! 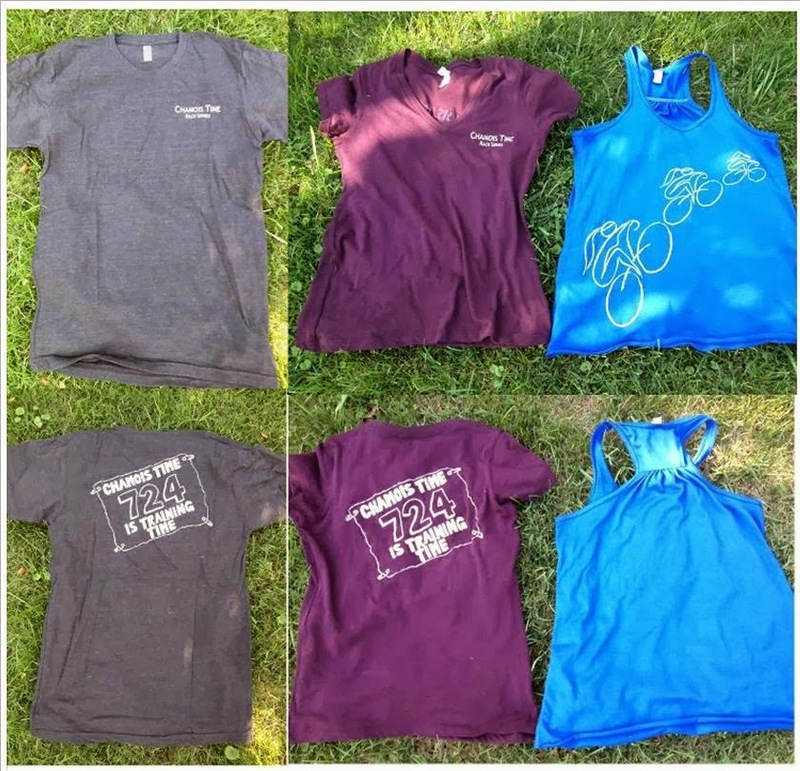 ), a Chamois Time T-shirt and a Racer Girl Tank. If you weren't one of the lucky winners, the Po Campo Bags are available at the bike shop for purchase and the SheBeest items can be ordered from the bike shop (soon to be carried in store!!). The T-shirts and Tanks can be purchased through the Iowa City Women's Cycling Club - just send us a message on our FaceBook page. I really had a great night and want to thank everyone who came out and joined us! If you would like to be kept in the loop on future events, please sign up for the Iowa City Women's Cycling Club email list. This will also let you know about out weekly group rides. Our beginner friendly road group rides (Ladies Only) will resume again in the Spring around daylight savings.